This image shows the Rho Ophiuchi star-forming region in infrared light, as seen by NASA’s Wide-field Infrared Explorer (WISE). 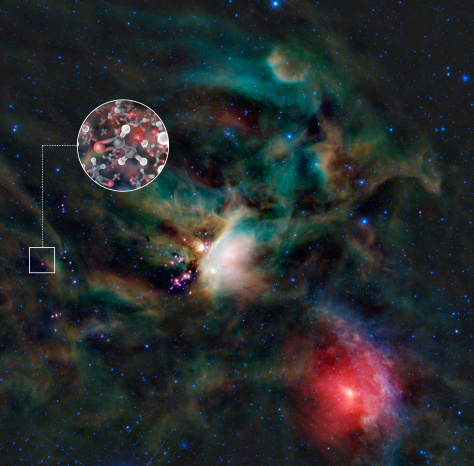 IRAS 16293-2422 is the red object in the center of the small square. The inset image is an artist’s impression of glycolaldehyde molecules, showing glycolaldehyde's molecular structure.